Onitsuka Tiger takes their classic Colorado 85 silhouette, adds a mid-top cut, deconstructs the upper, and presents the all-new Colorado 85 MT Samsara. 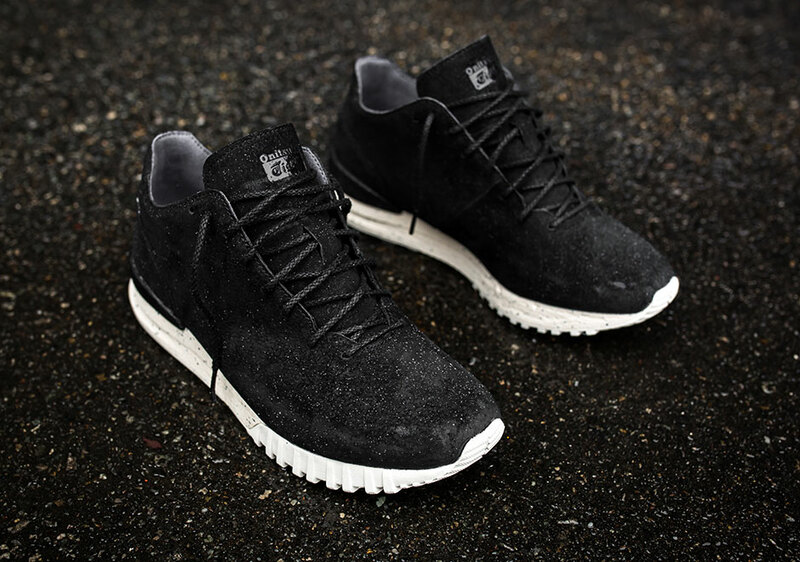 Seen here in black, the sleek and stylish re-imagination of the vintage trail shoe features a premium tonal suede upper with a contrasting white sole unit given some speckling for good measure. This is an Onitsuka Tiger sneaker like you’ve never seen before, featuring a fashion-minded design that’s slightly reminiscent of the popular Yeezys or Tubulars from adidas. If you’re liking what you see, you can pick up the Colorado 85 MT Samsara now from select Onitsuka Tiger retailers like Packer Shoes. The post Onitsuka Tiger Colorado 85 MT Samsara appeared first on Sneaker News. The adidas ZX Flux goes into the great beyond with this latest space-themed graphic upper. Straying from the usual “galaxy” motif, this time the space scene goes all red for a trippy new take on the celestial theme. All the elements from the laces to the outsole also come in the vibrant shade of red, making for a sneaker that seems to blend the “Red October” and “Galaxy” trends into one. Find the “Red Space” ZX Flux arriving now at select adidas Originals retailers globally. 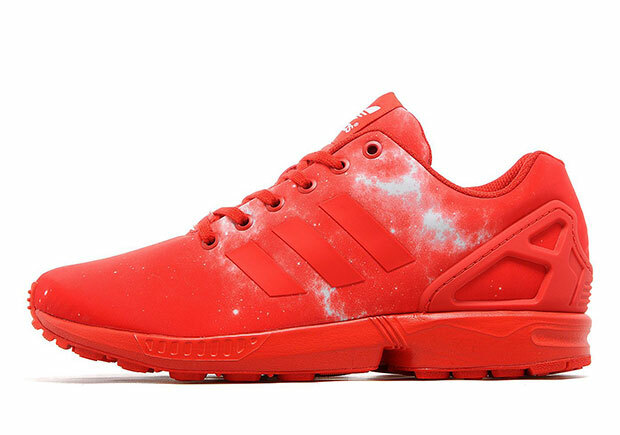 The post adidas ZX Flux “Red Space” appeared first on Sneaker News. One of the newest models when it comes to the adidas Tubular line is the adidas Originals Tubular Radial. The Tubular Radial takes on a low-top appearance making it somewhat similar in appearance to the Yeezy Boost 350 with the exclusion of Primeknit. This particular colorway that you see above comes with a heathered textile upper very similar to what we saw with the KITH x adidas Tubular Doom. The Three Stripes cages on the side panels are made out of neoprene while suede can be found on the toe and heel. The post This New adidas Tubular Radial Features A Fleece Upper appeared first on KicksOnFire.com. The Pirate Black adidas Yeezy Boost 350 restocked all around the world today and many people got their hands on a pair while many people also missed out. But something interesting happened today at at 4:00 pm EST as adidas sent out a tweet that stated that there would be another release tomorrow, February 20th. You can see a screen shot of the tweet above. However, adidas deleted it soon after and as far as we know there is no plans for a Yeezy Boost 350 release tomorrow. Guess someone slipped up and sent out an accidental tweet. It happens, I guess. The post adidas Accidentally Sends Out Tweet Stating That The Yeezy Boost 350 Will Be Releasing On Saturday appeared first on KicksOnFire.com. If you wear grade school size sneakers then you’re in for a sweet treat tomorrow as we’ll be seeing the release of the Nike LeBron 13 GS Cereal/Fruity Pebbles. This colorway of the LeBron 13 for the smaller footed crowded comes with a full White upper and the eye-catching Fruity Pebbles/Cereal multicolor graphics landing on the hyperposite overlays and the Nike Swoosh logo. The outsole also features some more color on the pods along with colorful insoles. Lastly we see more multicolor cereal/fruity pebbles speckling on the midsole to finish off the look. Will you be picking up a pair for yourself or for someone you know tomorrow? I think Nike should have released these in men?s sizing too because lots of people are fans of the fruity pebbles/cereal look dating back to the LeBron 4. Oh well, I guess it?s too late now. The post The LeBron 13 Inspired By The King’s Favorite Cereal Releases Tomorrow appeared first on KicksOnFire.com.